German Chancellor Angela Merkel fueled expectations of a future EU-US trade deal on Sunday (23 April), saying she was “very encouraged” talks were being looked at after her recent trip to Washington. 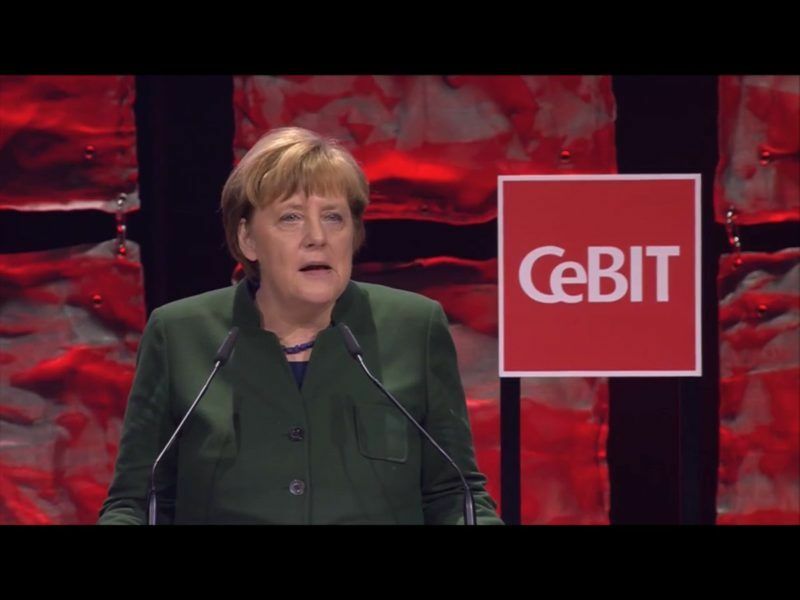 Merkel, speaking at the opening of the 70th annual Hannover Messe trade fair, said Germany was opposed to protectionism and trade barriers, and would continue to work for trade agreements like the one signed between the EU and Canada. “I also feel very encouraged by my visit to the United States that negotiations between the EU and the United States on a free trade agreement … are also being looked at,” she said. Merkel’s comments came after the London Times reported on Saturday that US President Donald Trump had warmed to a deal with the bloc after meeting Merkel in March. A source close to the White House was quoted as saying that there had been a “realization” in the Trump administration that a trade deal with the EU – allowing the tariff-free exchange of goods and services – was more important to US interests than a post-Brexit deal with Britain. The newspaper quoted a senior German politician as saying that Trump had repeatedly asked Merkel about signing a bilateral trade deal, but was told such an accord could only be negotiated by the EU. 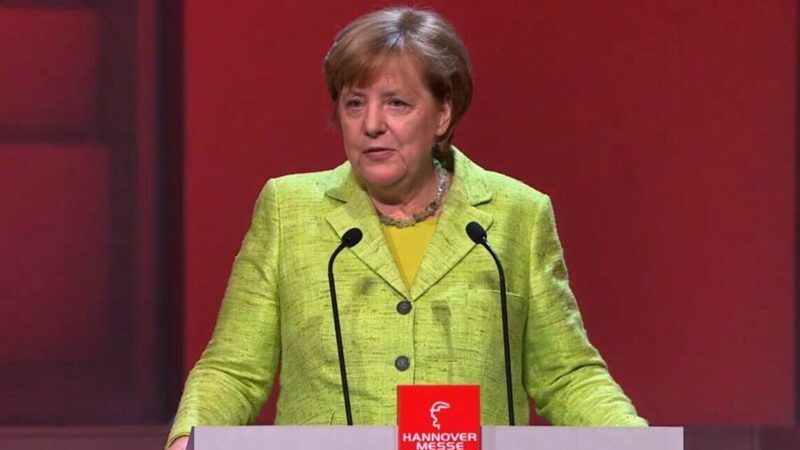 German Chancellor Angela Merkel and Japanese Prime Minister Shinzo Abe issued a staunch joint defence of free trade yesterday (19 March), as the United States pushes towards greater protectionism. 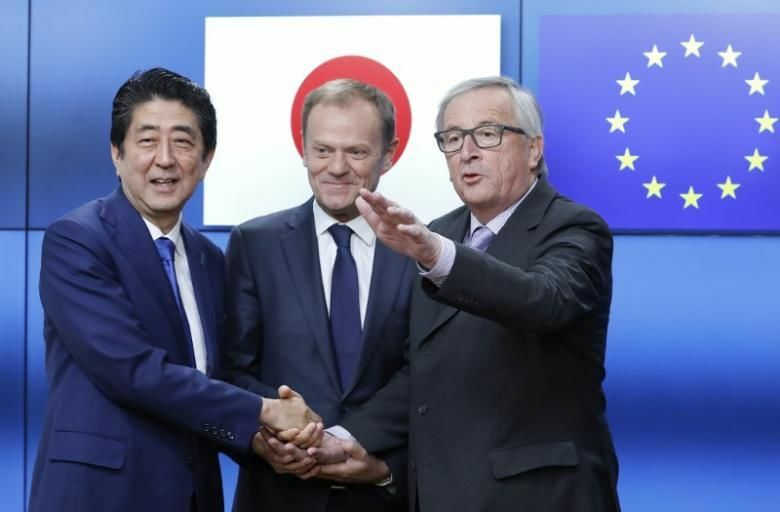 The European Union and Japan said on Tuesday (21 March) they intend to complete talks for a free trade agreement with Japan by the end of the year. One of Trump’s first acts as president was to cancel US participation in the Trans-Pacific Partnership (TPP), a free trade deal among 11 Pacific Rim countries. The EU and the United States had begun negotiating the Transatlantic Trade and Investment Partnership under then-President Barack Obama, but the work was not completed. Dieter Kempf, president of the BDI industry group, warned Washington against pursuing protectionist policies. “Those who have trouble understanding how trade surpluses and globalization effects are created are invited to come here and take a look,” he said. He also warned the EU against watering down the four basic freedoms of its single market during negotiations with Britain about its exit from the bloc. “We cannot let the four basic freedoms of the EU be diluted by special arrangements or cherry-picking,” he said. Merkel said the EU would insist on maintaining them, saying: “We want to continue good relations with Britain, while maintaining the advantages of the single market for ourselves”. 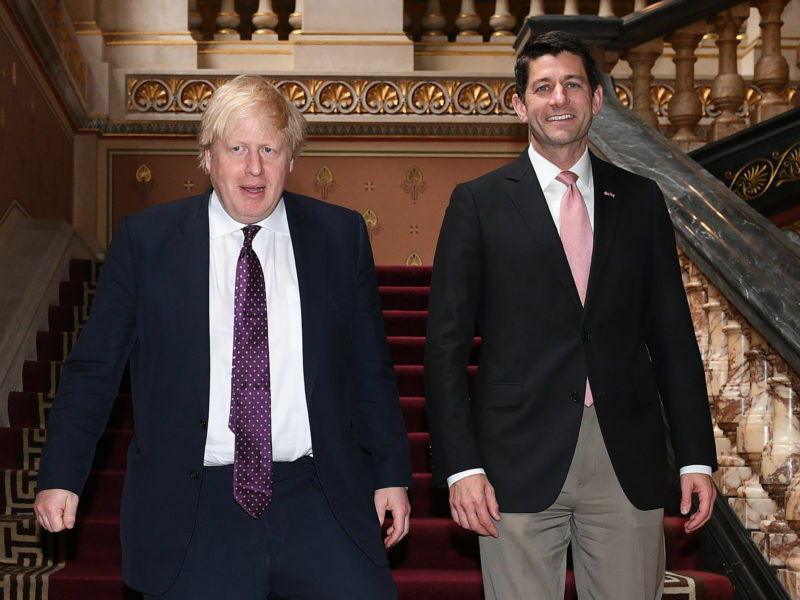 The United States is ready to negotiate a new trade deal with the UK. It also continues to have plans for the European Union, said Paul Ryan, the Republican Speaker of the House of Representatives. she is one of the European politicians prone before the USA. Europe does not need and Europeans do not want a TTIP with the USA. They will want to be a lot more careful about a “free trade deal” with Trump. It will be America First in every respect and to get this deal, you will first have to sign all your own interests away. Leave it to the UK to strike such a deal, Europe does not need to be ruled by corporate America.